This column is part of Globe Careers’ Leadership Lab series, where executives and experts share their views and advice about leadership and management. Obesity rates are continuing to rise in the Canadian workplace. However, more often than not, obesity is seen as a lifestyle choice, rather than a medical condition. All-the-while, obesity is slowly, but consistently, straining resources – the top five disease conditions found in most drug benefits lists are outcomes of obesity, including diabetes, high blood pressure, high cholesterol, depression and osteoarthritis. Estimates of the economic burden of obesity in Canada range from $4.6 billion to $7.1 billion annually, figures that continue to increase with the growing obesity epidemic (obesity affects 5.3 million Canadian adults). 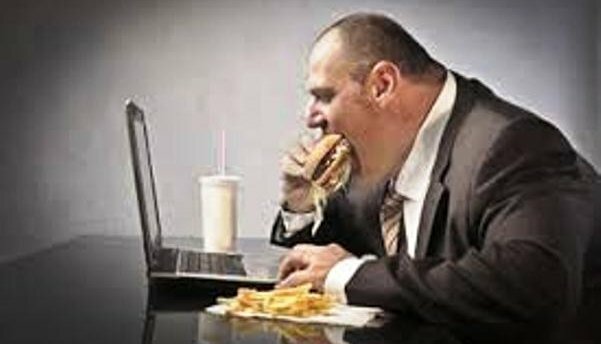 Specific to the workplace, obesity leads to reduced work productivity and is associated with higher rates of absenteeism – approximately 77 per cent more days are missed by employees with obesity who are also at a 76 per cent increased risk of having short-term disability. Reshaping current wellness initiatives and benefits plans to better address obesity could halt the progression of diseases related to obesity and mitigate disability liability down the road; therefore, reducing overall costs (indirect) to employers. Workers with obesity, for instance, may file more workers’ compensation claims. Companies need to consider best practices for engaging employees in such initiatives given that weight bias is often a major deterrent. Many choose not to participate in workplace initiatives due to fear of judgment or anxiety around failure, such as not being able to complete a challenge. Further, there is often concern of not being able to maintain weight loss, which can overpower any action. Research has shown that more than 90 per cent of people who are successful at losing weight through calorie-reduced diets eventually gain most, if not all, of this weight back within five years. A key in developing a successful health program in the workplace is to remove the undue pressure put on individuals. Addressing obesity as a chronic medical condition requiring enhanced research, treatment and prevention efforts can help negate negative stereotypes. A multifaceted approach is needed to execute effective obesity management in the workplace, with guidance from nutrition, fitness and medical experts. Weight loss can result in substantial medical expenditure savings in individuals with obesity and with or without type 2 diabetes. Scientific evidence confirms that obesity is in fact, a chronic medical condition and recognizing it as such is the first step in supporting employees in the workplace to encourage an effective, individualized treatment approach. Drawing upon the wants/needs/ideas of your employees. For instance, by conducting an anonymous survey to garner valuable insight about supporting people living with obesity. With newer technologies, this employee survey could be done efficiently and creates employee buy-in. Creating a simple, easy and cost-effective culture: Healthy foods (at meetings, in cafeterias and in vending machines), manageable workloads, pleasant eating environments with kitchenettes and proper breaks for meals are some of the everyday workplace supports for successful weight maintenance. Working with your benefits advisor to develop a plan that makes the most sense for your organization and employees; offering solutions that address chronic weight loss and effective weight management, while offsetting the costs of other medications. Lastly, be patient. Developing a healthy lifestyle is not as simple and straight as the TransCanada Highway through the Prairies. Rather it will be like the East Coast Trail in Newfoundland with obstacles, challenging turns and a deep sense of achievement once you reach the end. For more information on how employers can take meaningful strides to reduce the health risks, and costs, associated with obesity, consult Obesity is a chronic disease: Why this fact changes everything when it comes to health and the evolution of benefits plans.